I’ve been making this spiced pumpkin chia pudding since the fall season started. Moreover, it’s not only the chia pudding, but also pumpkin overnight oats that have been in my menu almost daily. So, pumpkin all the way! As far as the variety of pumpkin is concerned, I mostly use butternut squash. 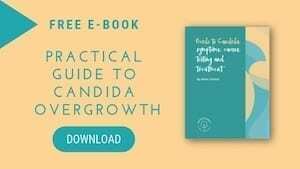 Because it is so thick, creamy and sweet, it is just perfect in my pumpkin chia pudding allowing me to use only a minimal amount of sweetener or ditch it altogether. 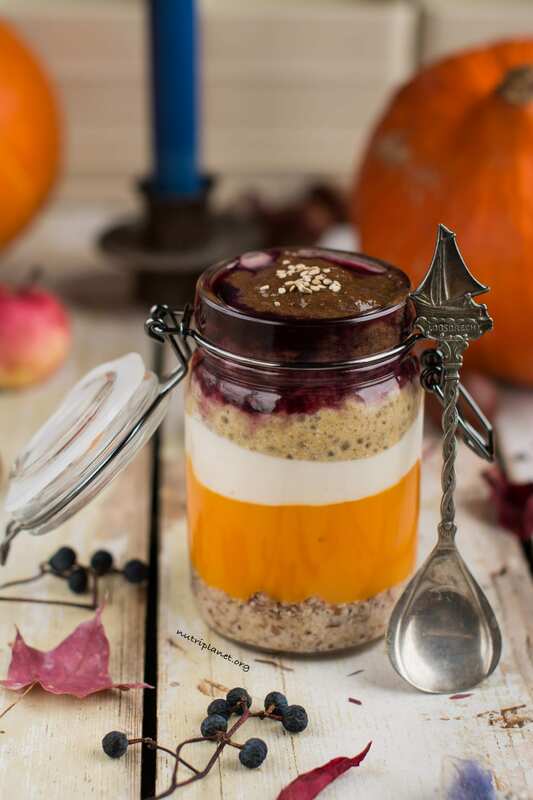 Pumpkin Chia Pudding with layers. 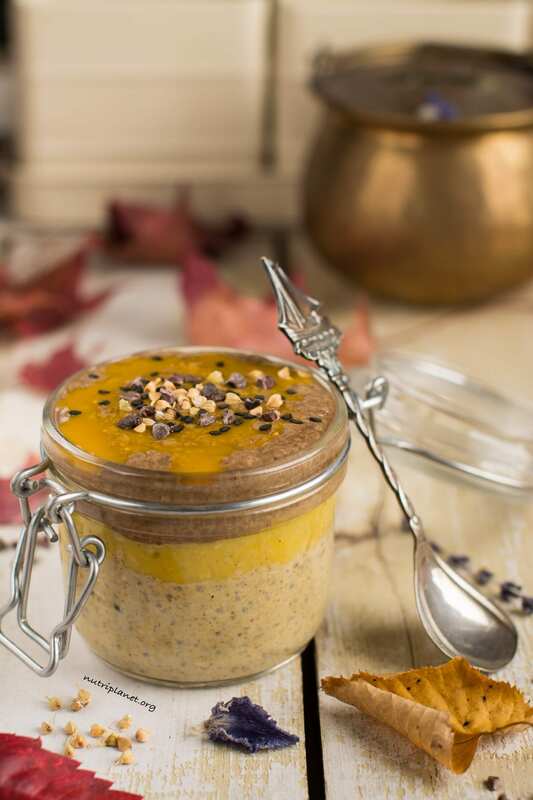 Now, there are different ways you can prepare this pumpkin chia pudding. First and the easiest is mixing all the ingredients together and enjoying the result. However, should you make it for guests or desire an aesthetically pleasing snack, go and work with layers. See recipe directions for instructions. Pumpkin Chia Pudding — another version of layers. 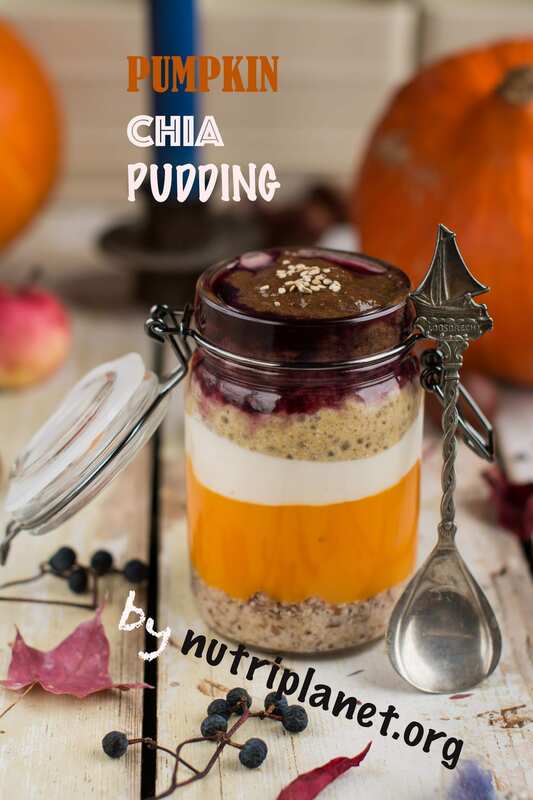 Finally, my pumpkin chia pudding should be suitable for almost anyone, as it is vegan, plant-based, gluten-free, refined sugar free, oil-free and vegan Candida diet friendly (unless you’re on cleanse). First, mix together chia seeds and plant milk. Now, stir them well until the seeds have swollen a bit and don’t form clumps any more. Then, let it soak for at least 30 minutes. 15 minutes is enough, if you use ground chia seeds. Finally, add the remaining ingredients and mix until well incorporated. Start with stirring the spices (except cocoa and carob), salt, 3 tbsps. of soy yogurt and sweetener into chia-almond milk mixture. After that divide the mixture into two parts. Then, add cocoa and carob to one part of the mixture and a tablespoon of pumpkin puree to the other part. 1st layer: dried nut pulp or ground nuts. 2nd layer: the reminder of pumpkin puree. 3rd layer: 3 tbsps. of the soy yogurt. 4th layer: chia pudding with pumpkin puree. 5th layer: chia pudding with carob, and cocoa. Topping: some sesame seeds or chopped nuts, some frozen blueberries or blueberry juice or puree. First of all, cut pumpkin into cubes and transfer into saucepan. Next, add a bit of water and simmer until pumpkin is tender (about 10 minutes). Then, puree with immersion blender or transfer into regular blender and process. Finally, add a bit of boiled water if the mixture is too thick. Nutritional info (doesn’t include nuts): 154 kcal, 24.4g carbohydrates (63.3% of kcal), 7.31g fats (47.8% of kcal), 7.85g protein (20.4% of kcal), 9.86g fibre, and 10 GL points. Grind chia seeds and/or put the seeds to soak already in the evening (leave in fridge). Grinding enhances the minerals’ bioavailablity. You don’t have to add almonds at all or you can use other nuts as well – hazelnuts, walnuts, pecans or peanuts. 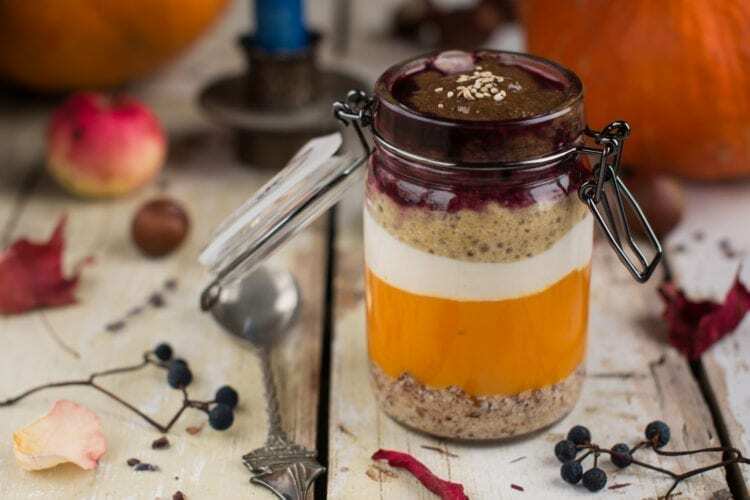 Most of all, this pumpkin chia pudding stores well in fridge in sealed container for up to 3-4 days, so you can prepare several batches to have convenient go-to snacks.